Creating beautiful photos at events and parties in Beverly Hills is a dream of most photographers. 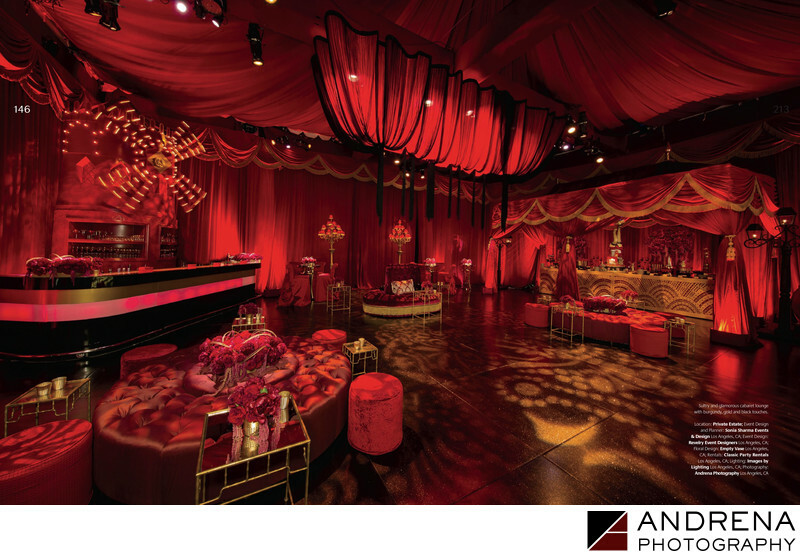 This stunning room was created by Sonia Sharma Events and Revelry Event Designers. The red on red Moulin Rouge style of this room was stunning to behold.